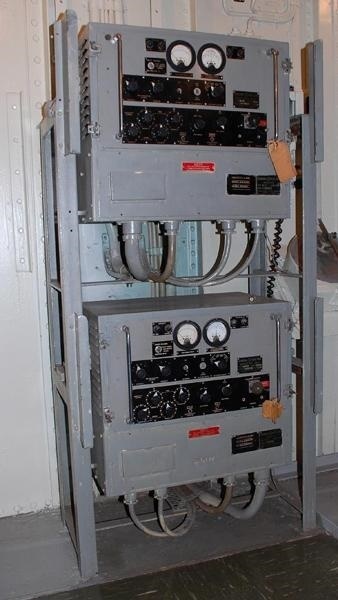 The transmitting station has nothing to do with outside communications; rather, it is here that data necessary to aim and fire the main armament, the two twin 4" mountings, was processed. Naval Gunnery is a very complex subject. Primarily, the moving ship was trying to hit a moving target. It was not simply a matter of leading the target. 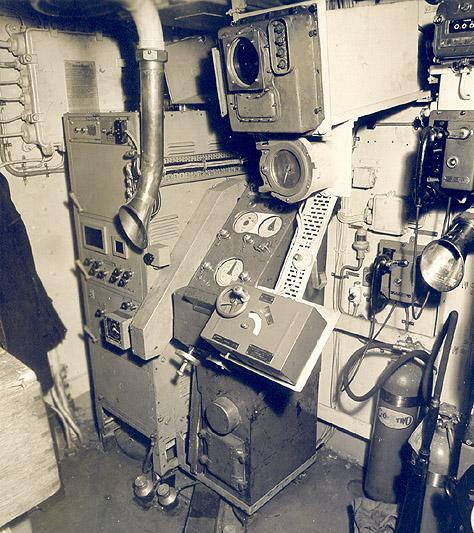 Information about the target, its range (distance from own ship), its bearing, its estimated speed and its estimated course were "fed" to the transmitting station from a variety of sources: the forward Mark 34 radar and gun director above the Bridge and the gun mounting itself. 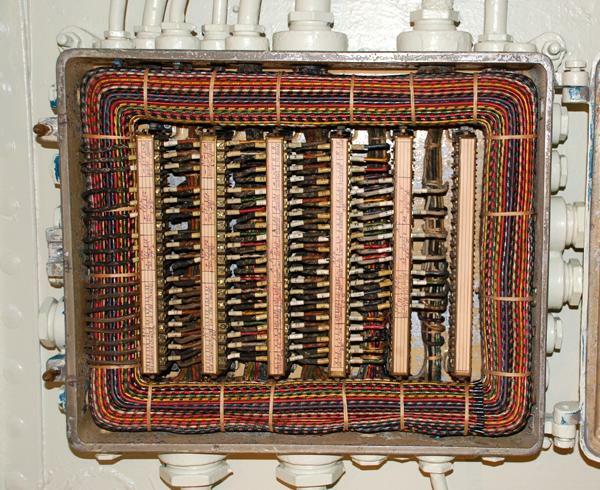 The Admiralty Fire Control Clock (AFCC), a primitive analogue mechanical computer, did the calculations necessary to provide the fire control solution. 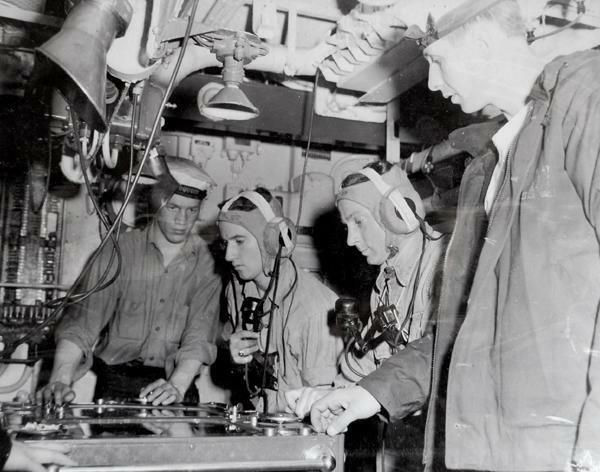 Once the fire control solution was known, the bearing and elevation was transmitted to the gun crew . Serial No. CAN2. Calibrated for 4 in QF guns. 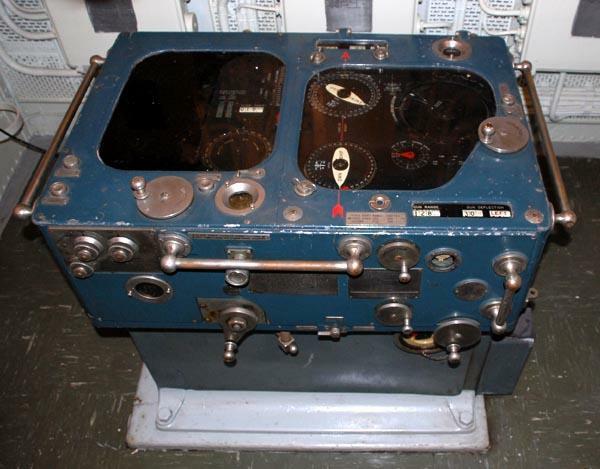 The Admiralty Fire Control Clock (AFFC) was a mechanical, analogue computer. 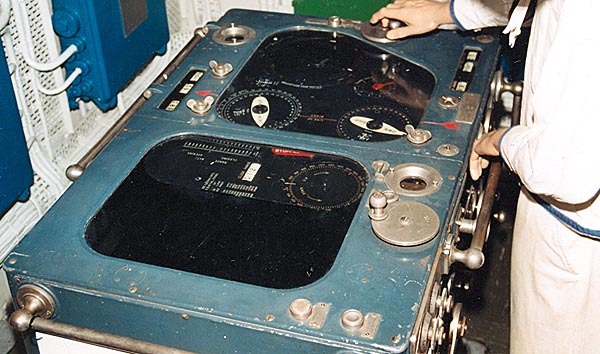 Information such as wind velocity, enemy vessel's course and speed, air temperature etc. were manually entered into the unit. It was located in the Transmitting Station. 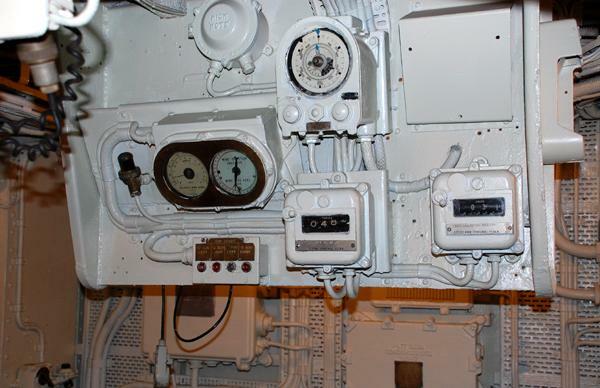 Originally, a type 6W gun director supplied bearing, range and elevation data to the clock. In turn, the AFFC calculated the firing solution to the dials in the gun director and the gun mountings themselves. The director crew and gun's crew then trained and elevated the guns to the angle specified. Another variable necessary in the calculation of the firing solution was that of the wind direction and speed. 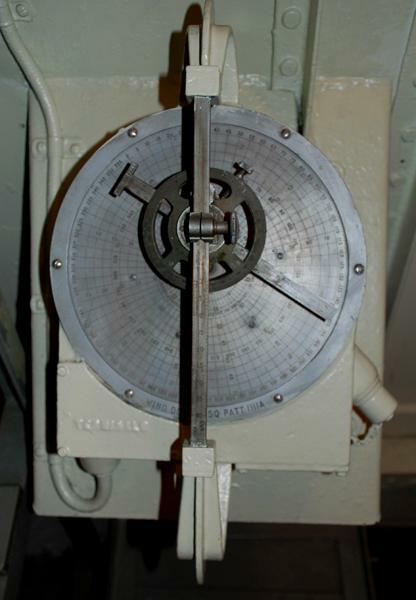 The relative wind speed and direction were determined by the anemometer and wind vane located on the foremast yardarm, and was read from the indicators above the AFCC. 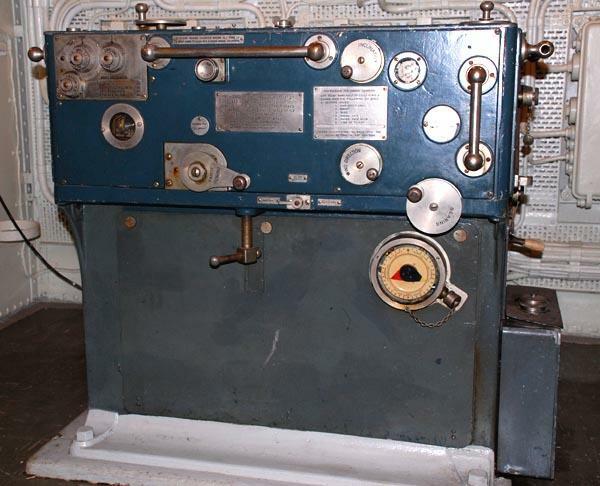 The object to the right of the door in the Transmitting Station is known as the Dumaresque. Its purpose was to calculate the wind triangle to give the true wind direction. The intensity of the wind has a significant effect on the round's trajectory and the fire control solution.